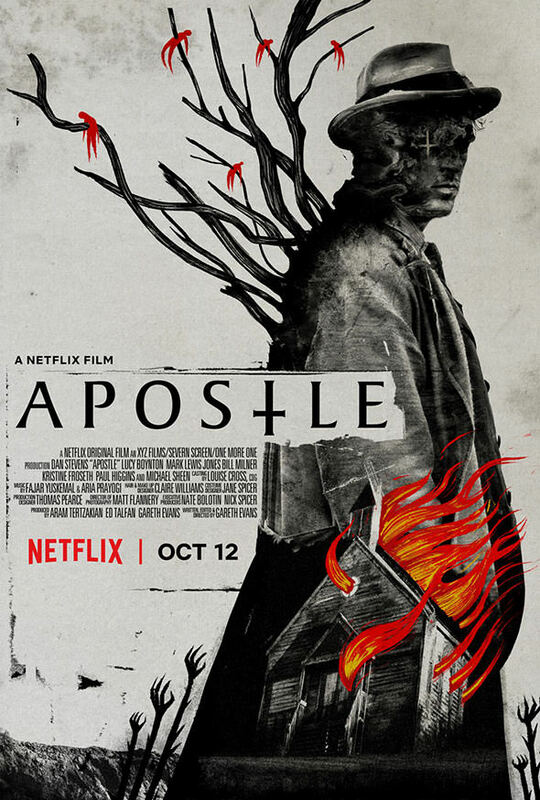 Netflix has unveiled the first official movie poster for its horror occult film “Apostle” which hails from “The Raid” and “The Raid 2” director Gareth Evans. The one-sheet comes as it has been announced the film will screen at Fantastic Fest in late September. As Thomas infiltrates the island’s community, he learns that the corruption of mainland society that they claim to reject has infested the cult’s ranks nonetheless – and uncovers a secret far more evil than he could have imagined. Aram Tertzakian and Ed Talfan are producing the film which will premiere October 12th.